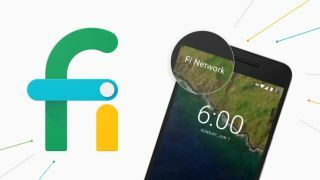 In an effort to further improve the browsing experience of its Project Fi customers, Google is introducing its new enhanced network feature which allows devices to switch between Wi-Fi and mobile networks faster as well as its new optional always-on VPN service. Fi already uses a VPN service by default to protect users when they're connected to any of the almost two million supported Wi-Fi hotspots. Now Google is extended this feature to cellular connections to further protect its users privacy. "When you enable our enhanced network, all of your mobile and Wi-Fi traffic will be encrypted and securely sent through our virtual private network (VPN) on every network you connect to, so you’ll have the peace of mind of knowing that others can’t see your online activity. That includes Google—our VPN is designed so that your traffic isn’t tied to your Google account or phone number (just like mobile traffic that isn’t sent through the VPN)." In addition to providing users with a VPN, Fi is also making it faster for devices to switch between Wi-Fi and mobile networks. Once this feature is enabled, a user's device will automatically detect when a Wi-Fi connection becomes weak and the service will fill in those gaps with cellular data. Although the new system is still in the testing phase, Google says that it already reduces a user's time without a working internet connection by up to 40 per cent. Both the VPN and the enhanced network will begin rolling out to Fi users later this week. These new features are turned off by default so users will have to go to the Fi Network Tools in the Project Fi app to enable them. One thing to note is the fact that Google says your data usage will likely increase by around 10 per cent with its VPN feature turned on.